This was always going to be a tough election for the Liberal Democrats as the junior partner in a coalition government with the Conservatives. With so many marginal seats at threat including Cardiff Central, which even warranted its own manifesto, the Party were keen to emphasise its record in Government. 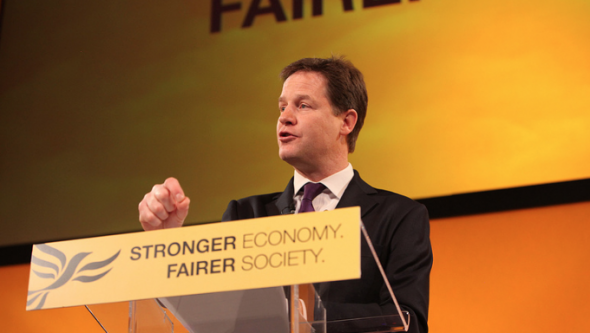 Immediately stating in its foreword that three quarters of the party’s 2010 manifesto became Government policy, it was presented by Nick Clegg as a manifesto for government not opposition, with “opportunity at its heart” and more money for public services. The main message being that it would borrow less than Labour and cut less than the Tories. Balancing the budget fairly and investing to build a high skill, low carbon economy, were key themes throughout the document along with increasing resources for the NHS, ensuring safe staffing levels and equal status for mental health also featuring prominently. Higher spending on English education would result in an extra £150m for Wales over the next five years, which would be spent on the poorest pupils. In terms of immigration, the Lib Dems pledged to reintroduce exit checks at borders, to identify people who are overstaying their visas and ensure that EU migrants have to “earn” their entitlement to benefits. The manifesto went onto pledge that it would immediately introduce a funding floor, to protect the Welsh Government’s finances and go beyond the measures outlined in the St David’s Day agreement, by delivering proper home rule for Wales and a Welsh Parliament. Further powers over energy, ports, local elections, broadcasting, youth justice and policing would be devolved to the Assembly in the long term. @currycymraeg @cathy_owens No sorry! We’ll keep our eyes peeled.